Surrey-based robotics company, BotsAndUs was successful in securing a £100k Innovate UK grant and a £40K EIC SME Instrument grant after taking part in SETsquared’s Entrepreneur’s Programme. The figures reveal that across the 109 companies given further support within the SETsquared incubator since the programme launched in 2017, a total of £8 million-plus investment has already been raised and more than 200 jobs created. This is the result of over 500 hours of support and more than 50 events run by SETsquared, which have given these aspiring tech businesses valuable advice and mentoring to help them grow. 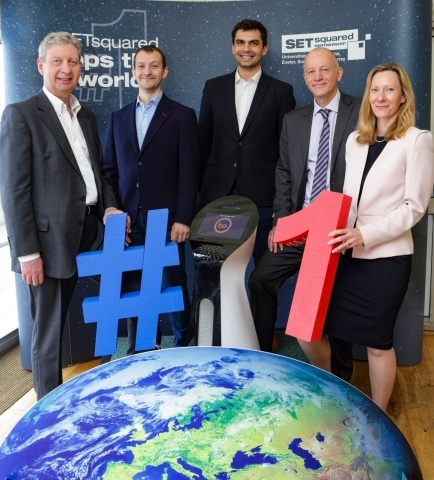 Since 2002, SETsquared has helped more than 3,500 businesses raise over £1.5bn in investment, as well as contributed over £8.6bn in GVA (Gross Value Added) to the UK economy – figures that contributed to it being named by UBI Global as the top university business incubator in the world in February 2018.